The Station upgrade work has begun. 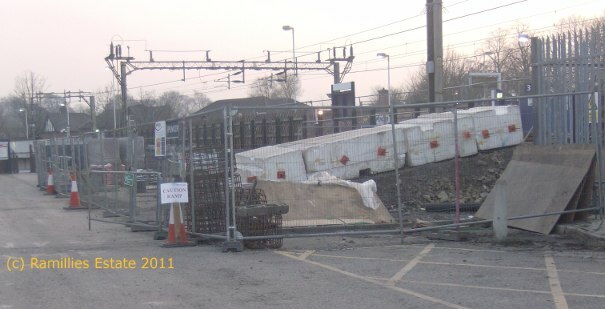 The stairs up to Platforms 2 and 3 have been cut off and replaced with stairs to platform 3. Platform 2 is accessed by walking round the end of platform 3. 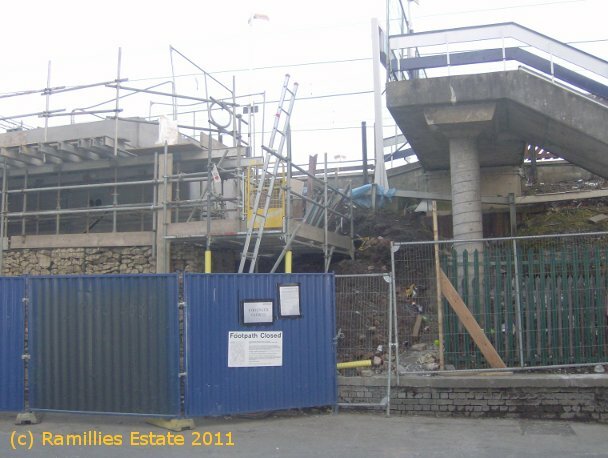 The site at the back of the platform 1 stairs has been cleared and railing removed for site access. Similarly, the access ramp area from the car park has been cleared. There is still no plan for the lifts to go from street level. This was been raised with our MP, Mark Hunter, in January 2010 but no action was taken. It is being claimed as a political success despite not catering for the majority of users who need a lift from street level. Visitor 8 since 14 Apr 19.